Charlie Daniels is an American multi-instrumentalist, lyricist, and singer, known for his contributions to Southern rock, country, and bluegrass music. He is perhaps best known for his number-one country hit "The Devil Went Down to Georgia". Daniels has been active as a singer and musician since the 1950s. I am a long time follower of Mr. Daniels on twitter and have seen his wonderful, pithy, wise thoughts each day. When I saw this book, I knew I had to read it and would love it - and I was right! The book is a beautiful gift-style book. It's hard cover with a lovely ribbon to hold your place. The paper is really high quality and would make a wonderful gift. However, it's the words inside that are really the best and I love the Scripture that he ties to his thoughts each day. 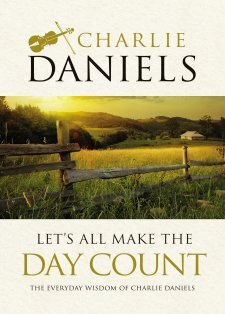 There are 100 daily writings in this book packed with wisdom and delightful stories. I really love how he shared aspects of his life and how he made it through some hard times. Sometimes, we tend to think that celebrities have no problems but they are human just like you and me. He reminds us that God is there for us and gives such encouraging thoughts. One thing he wrote that really stood out to me was, "If you can't get what you want, take what you can get and make something out of it." This quote was written in correlation with a story of a promoter that said his band would never make it. He said if he had decided to believe that, he may have just given up but he knew his band could make it and decided to use that to propel him forward. I wondered how many times in my life I let others define who I was and gave up? His story was so encouraging to me and it's just one of many that encouraged me and I felt were speaking to me personally. I absolutely love this book! 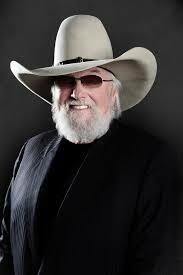 I have been a Charlie Daniels fan since the 70's and have followed his career ever since. I admire that he lives his life in such a godly way and tries to always do the right thing. This book just totally defines who he is and it's fantastic. It's a book I will read over and over again - especially when I need a little encouragement or kick to the backside! It's a great book for reminding us who we are to God. I highly recommend this book and give it 5 stars! *This book was provided to me by BookLook Bloggers program. I received a copy of this book to review but I was not financially compensated in any way. The opinions expressed are my own and are based on my observations while reading this book.